A Junk-Foodaholic's Journey to a Healthy Lifestyle: The Biggest Loser is Back for Season 6! 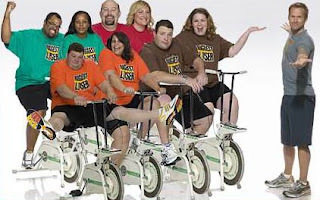 The Biggest Loser is Back for Season 6! 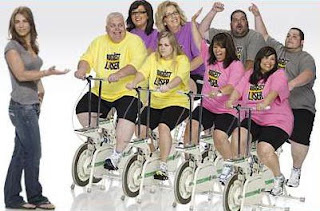 I missed last week's opening show but last night while channel surfing, I stumbled upon The Biggest Loser. I love this show so I'll definitely be tuning in Tuesday nights to watch it. This time it's a family affair. 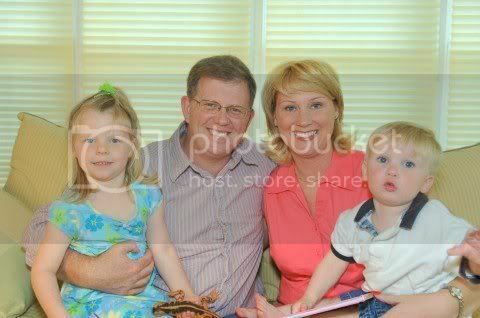 Bob started out with four husband-and-wife teams and Jillian started out with four parent-and-child teams. This season's 16 contestants range in age from 22 to 51. "As we get older, it becomes much harder to lose weight, because the body's process tends to want to slow down," says Bob Harper, a fitness coach on the show. "The people on the show who were 40 or 50 had to work much harder than those 20-year-olds to get the results that they did." But with a $250,000 prize for the winner at stake, everyone busted their butts. "When you're ready to make a change, there's nothing that will stop you," Harper stresses. Last week, the Husband/Wife Green team was eliminated. Click here to see the video of where they are now. Since starting The Biggest Loser, Stacey has lost 46 pounds and her husband, Adam, has lost 54 pounds. Last night, the Father/Son Gray team was eliminated. Click here to see the video of where they are now. Since starting The Biggest Loser, Tom Sr. has lost 65 pounds and his son, Tom Jr., has lost 81 pounds. Tune in next Tuesday night to see the teams compete at the Grand Canyon. I've always been fascinated at how they make them lose all that weight in such a fast way. I guess it's all about discipline and dedication! Hey, just hoppin over her from EC. One of the few times in ones life when it's cool to be called a loser. Hi. I'm disabled and I've got this thing growing on my neck. I owe more money than I’m worth and I'm in pain every day. The last time my son took me to the doctor(for this thing growing on my neck), I asked him what the secret of happiness was. He seemed happy, after all. Plus his undergrad degree came with a GPA that made my 3.8 look like a nice try, but no cigar. Now he’s in graduate school, even. He has friends. And he can drive. He went on like that until we got to the doctor. I'm still paying for his education. I think these stories are so inspiring and amazing. It just goes to show that with determination and the right health and fitness ideas you can succeed in your weight loss goals! I am addicted to this show! Maricris - I've heard they work out 5 hours a day so it's easy to see how they lose the weight so fast. Rob - Your son has a funny sense of humor. Retorts, huh? Who'da thunk. Heidi - I agree. This show always inspires me too.